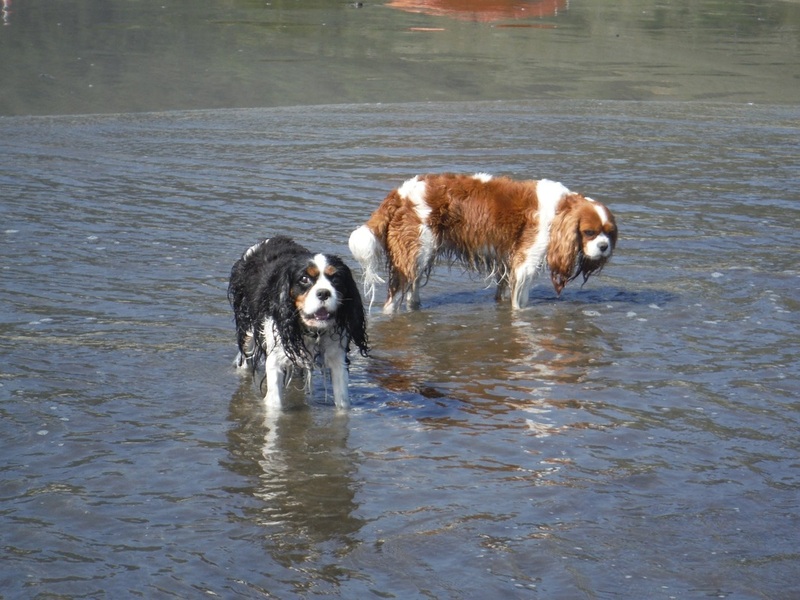 Samson & Delilah are the Host and Hostess of “The San Francisco Cavalier King Charles Spaniel Meetup” @meetup.com. When not hosting the monthly Cavalier soiree, Sammy was always crazy about the OCEAN. 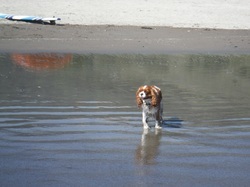 Once in Monterey he was retrieving and caught a wave. As he accelerated toward the beach his eyes got bigger and bigger. Landing on the beach he could not wait to get back in, Delilah ever the DIVA was not about to let him have all the fun. 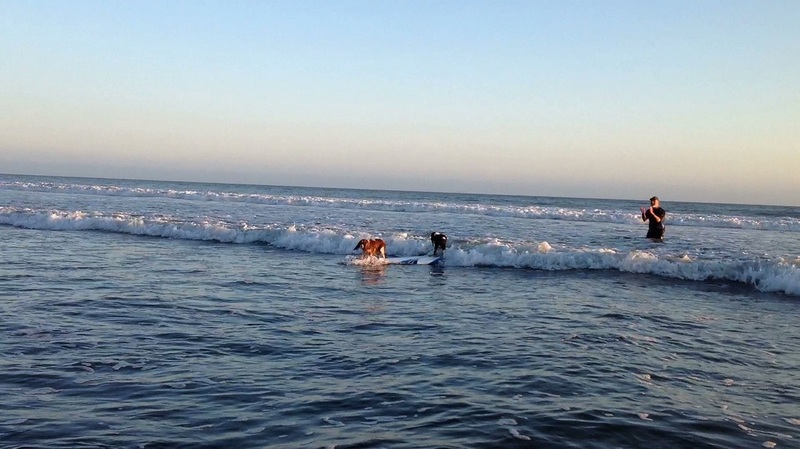 One-day Samson’s loyal servant, (dog dad) thought I wonder if Samson would like to try a Surfboard……. 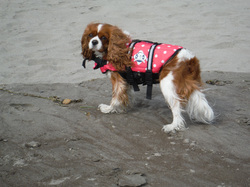 He was a natural; Samson & Delilah became the worlds first Cavalier Surfer Dude and Dudette King Charles Tandem. 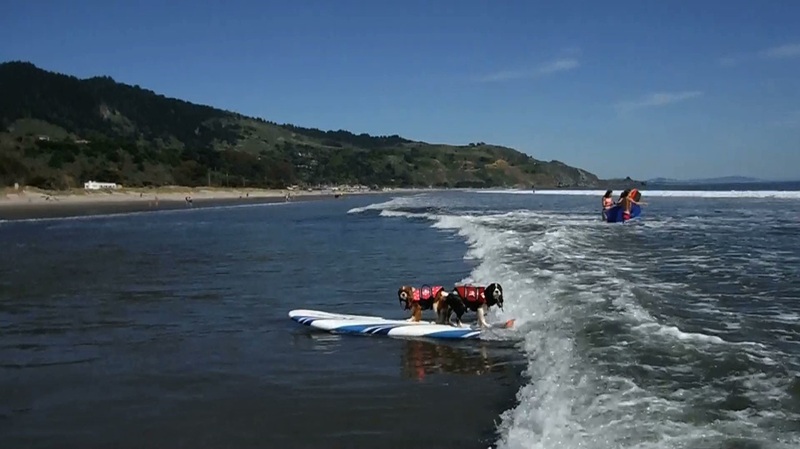 Awards and/or Metals won Surfing: Besides Cavalier Tandem Dudette and DIVA? 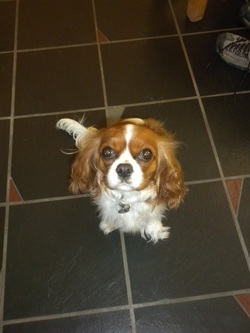 Titles and/or Honors: Won the show contest for "biggest eyes" at the annual East Bay King Charles Clup Picnic.